Good things to eat and drink. 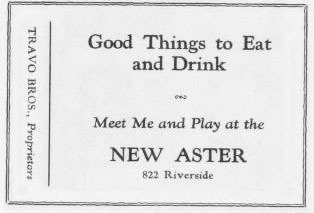 Meet me and play at the New Aster. Travo Bros, Proprietors. 822 Riverside.